Photo courtesy: Brown University's Twitter handle. Atlanta, GA, May 7, 2018: Dhruv Gaur, 18, of Gainesville Georgia, has won the $100,000 Jeopardy college quiz championship. 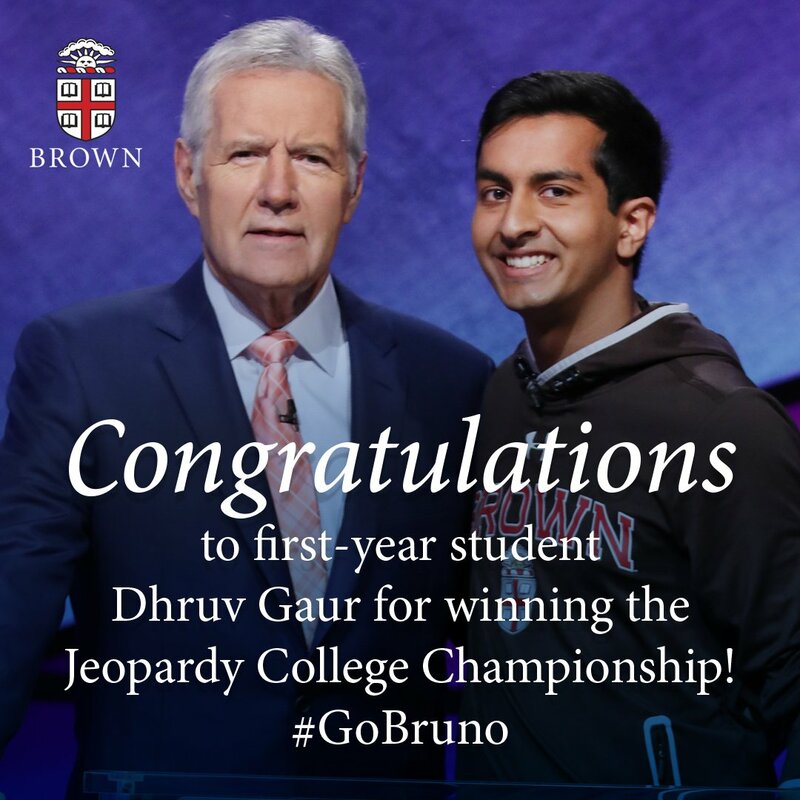 The first-year student at Ivy League Brown University emerged the champion in the two-day final round of the college edition of America’s most popular quiz show televised nation-wide. He faced Georgia Tech student Rishab Jain in the semi-final round before getting to the finals. Gaur, aLakeviewAcademyalumnus, had scored a perfect score of 1,600 in the national-wide college entrance exam, Scholastic Aptitude Test. “My little brother is really interested in investing, so I’ll give him some so he can give the stock market a go,” he added. Viraj Mehta, who came third in the 2017 edition, made news because either intentionally or accidentally he was seen flashing his middle finger — an obscene gesture — while being interviewed by the show’s host Alext Trebek. Several media pounced on the gesture seen fleetingly on the show. Vinita Kailasanath is the only other Indian-American, who won the college championship, which was in 2001. In the teen championships for high-schoolers, Sharath Narayan won the $100,000 prize in 2016. Two other Indian-Americans had earlier won the teen championship.